A five-month long investigation targeting a drug trafficking network that operated out of 10th Avenue and East 28th Street in Paterson led to the indictment of nine people, New Jersey Attorney General Gurbir S. Grewal announced on Friday afternoon. 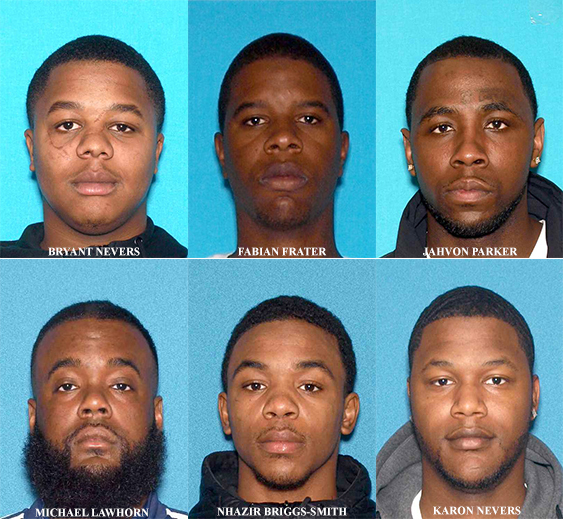 Authorities said a state grand jury handed up the indictment yesterday charging the alleged Bloods street gang set the ‘So Icy Boys’ members with first-degree racketeering, second-degree conspiracy, and other offenses. Karon Nevers, 25, of Paterson. The alleged gang members are also variously charged with drugs and weapons offenses, authorities said. Ten people who allegedly bought heroin, cocaine, or the anesthetic ketamine, also known as “K,” from the ring have been charged with drug possession offenses. The operation was led by the Division of Criminal Justice Gangs & Organized Crime Bureau and the Paterson Police Department with assistance from the New Jersey State Police and Passaic County Prosecutor’s Office. Authorities said the So Icy Boys had its base at 10th Avenue and East 28th Street. Besides dealing large quantities of drugs, the gang engaged in street warfare. Two members of the gang were murdered during the course of the investigation. A third gang member was wounded in a shooting that stemmed from an internal dispute. The non-fatal shooting and one of the murders occurred at 10th Avenue and East 28th Street, authorities said. The accused gang members could face decades in state prison if convicted. Authorities said the indictment was handed up to New Jersey Superior Court Judge Mary C. Jacobson in Mercer County who assigned the case to Passaic County. The alleged gang members will appear in court at a later date for arraignment, authorities said. Paterson needs 100 of these same operations. One of these just dont effect the drug market in Paterson. Ok so one down and 99 to go. But not once in a while but all at once. Because that same corner just this morning already has drug dealers lined up.